Yesterday we played "One of these things". Today, I thought it would be fun to play another game. This game is called "Where's Henry". Henry is our white pickup truck. Henry likes to work hard and play hard. Henry particularly likes to play hide-n-seek. 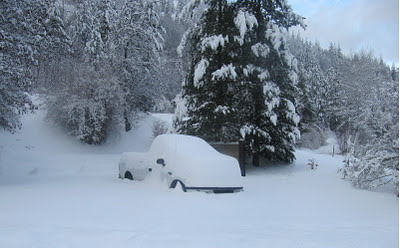 Can you find Henry in this picture? 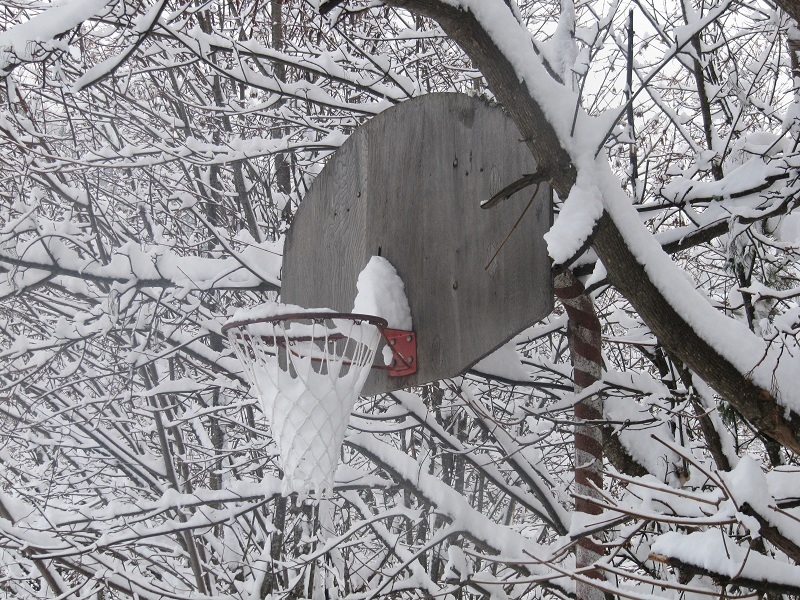 Later maybe we could play a little b-ball. 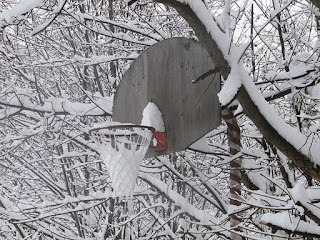 Do you still get 2 points if the snow basketball makes the basket but doesn't come out the bottom?